The photo on the cover is a watercolor facsimile of the original art, by Joanne Haskell Crosby, depicting San Jose del Cabo, based on the original drawings of Padre Ignacio Tirsch. 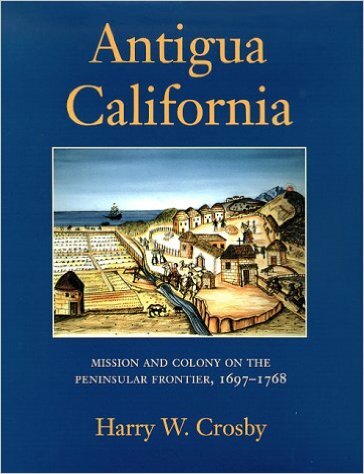 First published in 1994 and now available again, this Spanish Borderlands classic recounts Jesuit colonization of the Old California, the peninsula now known as Baja California. Jesuit missionaries founded their first settlement in 1697 and unintentionally created a Hispanic society that outlived the missions and their Indian converts. The author brings to light Jesuit missionization and culture, European-Indian contacts, mission and presidio operations, family social life, the unique peninsular economy, and the Jesuit expulsion.